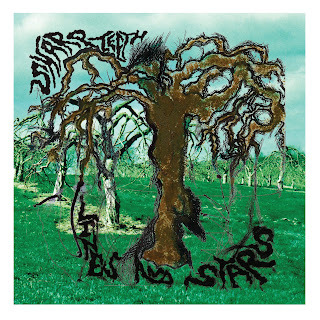 Lines and Stars is the second Sharp Teeth full length, self released in 2009. Their sound is heavy-duty, beautiful in its simple bombast. But these songs communicate something more—an ache and a wistfulness for something that has never been. Without knowing the words, you know these are songs about frustration, the kind found in the most sincere of love songs. And Sharp Teeth offer relief from the roar in the form of candy-coated melodies, which appear for just for a minute at time and waver on feelings of hopefulness, like hopping over a fence late at night to meet that boy or girl you dig so much. Recorded by Neil Weir at Old Blackberry Way studio in 2009.